SUMMER IS ALMOST HERE! 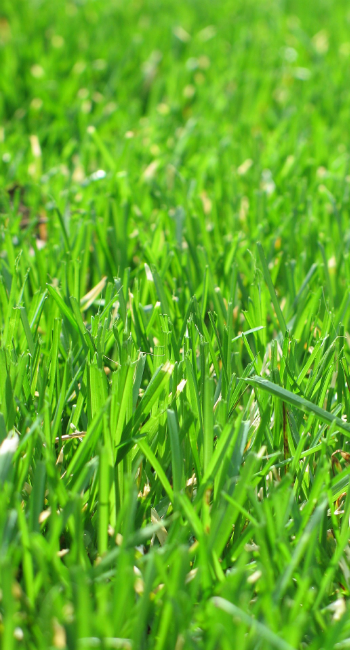 HERE ARE SOME TIPS TO KEEP YOUR LAWN GREEN. -Mow Higher: Simply mowing your lawn at a greater height is the easiest thing you can do this summer to keep your lawn healthy. Taller grass grows deeper roots and can cool itself more easily in the heat. That adds up to grass that can more tolerant to the hot, dry periods we’re prone to in our area. Lawns should be mowed at a minimum of 3 1/2″. -Do Not Mow Dormant Grass: If we get into an extended drought period and your lawn begins to turn brown don’t panic. Our lawns with go dormant during hot and extended dry periods as a defense mechanism. They can remain in this state for upwards of 60 days in conditions persist. Do not continue to mow or put unnecessary stress on dormant grass. If left alone they will recover when favorable conditions return. -Water In The Morning: It’s no secret that watering your lawn keeps in greener in the summer. What you may not know is that watering should be done in the early morning. The key is reducing moisture on the grass blades. Watering during a hot sunny summer day can burn your lawn. The sun heats the water on the leaves and in over-saturated soils and literally “cooks” the grass. Watering in the evening leaves the grass wet throughout the night and very susceptible to disease. Watering in the early morning allows time for the water to sufficiently soak through the profile and for the grass blades to dry, reducing burn and disease potential. -Avoid Excessive Traffic: Lawns in our area are comprised predominantly of cool-season grasses. Recuperative potential is greatly reduced in the summer. We all understand that it is summer and kids need to play. So, if you have areas with excessive wear damage aerating and seeding in the fall is the best way to recover the lawn.